Ships. Dry containers. Reefer boxes. Tank containers. Chassis. Gensets. Tractors. Port and rail cranes. Mobile loading and handling equipment. The global container supply chain is literally awash with assets. From a 20,000TEU mega-ship, to a lift truck moving containers round a terminal, to a reefer box carrying perishable produce half way round the world, each has a part to play in the daily dispatch and delivery of a vast array of containerized cargo across maritime, port and intermodal transport networks. Today, the vast majority of these assets are dark, dumb and disconnected. They do their job (some of the time), but they can’t tell anyone how they are doing, what they are doing and where they are doing it. They can’t raise the alarm when something goes wrong. They deliver the goods (some of the time), but not the data. Tomorrow, things will look very different. 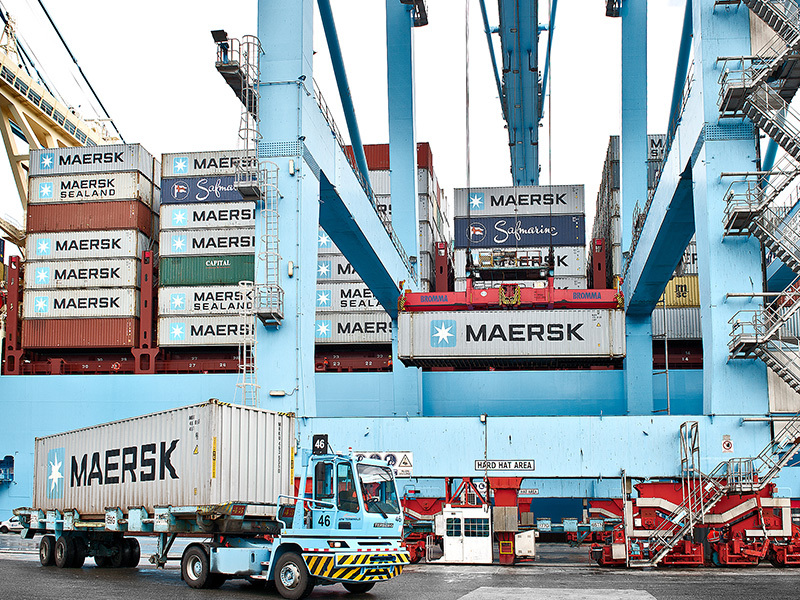 In a recent LinkedIn post, Maersk Line CCO Vincent Clerc hails smart containers as a ‘game-changer’. Maersk has just gone public on its decision to equip its fleet of over 260,000 refrigerated containers with machine-to-machine (M2M) technology that gives global real-time visibility into equipment location and status, and allows the carrier to remotely control temperature, humidity and other climate settings for perishable cargoes. Mr. Clerc says that Maersk and its customers have already started to reap the benefits, seeing a significant reduction in cargo damage. Some 30% of the food produced by the world is lost each year, and smart reefers have a part to play in tackling this, improving cold chain stability and reliability in a globalizing food market. Remote container management is also cutting down on the need for manual equipment inspections along the cold chain. This is helping to drive down costs – a critical consideration in today’s straitened shipping climate – as well as to reduce the risk of human error in data collection. 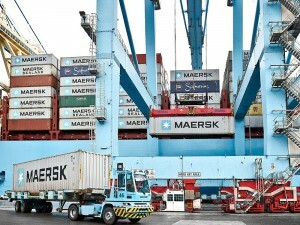 As part of the M2M technology community that worked on this landmark 5-year project (ORBCOMM subsidiary WAM Technologies supplied the telematics application and device management middleware), it’s really encouraging to see Maersk Line opening up the dialogue about smart containers and their role in shipping’s digital future. More details of the project, how the technology works and market reactions can be found in The Inside Story of How to Keep it Cool, recently published by The Loadstar logistics news portal, together with this podcast just released. Let’s look at that proposition from some other points of view. Take ports, which are key nodes where a huge number of assets and stakeholders converge, and which can make or break total supply chain performance. What could real-time data on the location and status of all these things – containers, cargo, cranes, ships, vehicles, handling equipment and more – do to boost operational effectiveness, safety and security across port communities? Port authorities are increasingly seeking to harness digital collaboration, to reduce supply chain disconnects and address multi-stakeholder issues, notably congestion. What value could live M2M data on what is actually going on – versus what was planned and expected – bring to this endeavor? And what could real-time visibility of goods moving across the supply chain mean for BCOs? Aside from offering the chance the proactively respond to issues as they arise, potentially pre-empting supply chain breakdowns, tremendous new knowledge could be unlocked to help do things better in the first place. In this early wave of container supply chain digitisation, M2M technology needs to justify itself with known, hard ROI. First and foremost that includes meaningful cost savings (Maersk says RCM will cut millions of dollars from its annual inspection and claims costs) and business risk mitigation. Alongside reduced M&R and physical inspection costs, we see better asset utilization, reduced theft, waste, loss, damage and claims, and improved chain of custody for regulatory and customer compliance as the key issues driving investment today. But, as M2M technology transforms more and more transport assets from dark, dumb and disconnected to visible, smart and connected, the flood of real, hard data that will be created could open up all sorts of innovation. With the digital supply chain just starting to take shape, now is the time to talk about the role and value of smart assets both today and for the future.